Tiny Titans’ Tiny Rails is an interesting game that will have you managing an old-school commercial/transport train line in competition with a more modern train line. 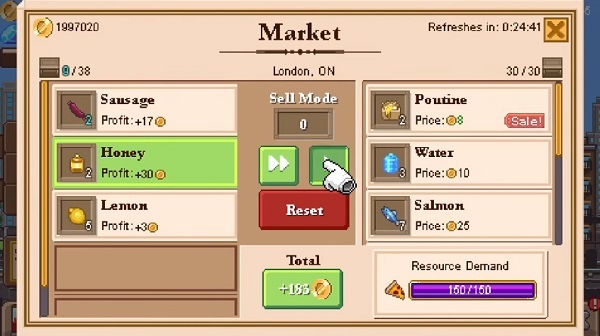 Making its way to mobile from PC, initially, I wasn’t interested in the title. Train games have never done “it” for me. Sure they look amazing but again I’m operating a train. What Tiny Rails does differently is approaching it with an art style similar to Stardew Valley and give you just as good a storyline. What we end up with is a chill, partially hands-off experience. You’ll want to manage the specifics like cargo to purchase, buffs, and upgrades as well as prizes and new cars to add. Other than that, the game runs on its own when your train moves from station to station. This means that you don’t necessarily have to watch the game, but the graphics’ 16-bit art style is so nice you might just stick around to watch your train go through scenic cities. Tiny Rails isn’t a game with a difficulty setting or a game that you beat. It’s a game you simply enjoy and experience via the storylines and customization possible. You won’t eat up a ton of time trying to edit things and only rarely will you be tempted to purchase gems since the in-game currency (gold) is easily available. 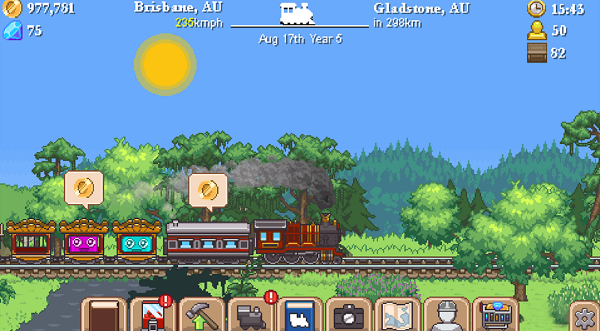 I strongly recommend you pick up Tiny Rails for Android or iOS.